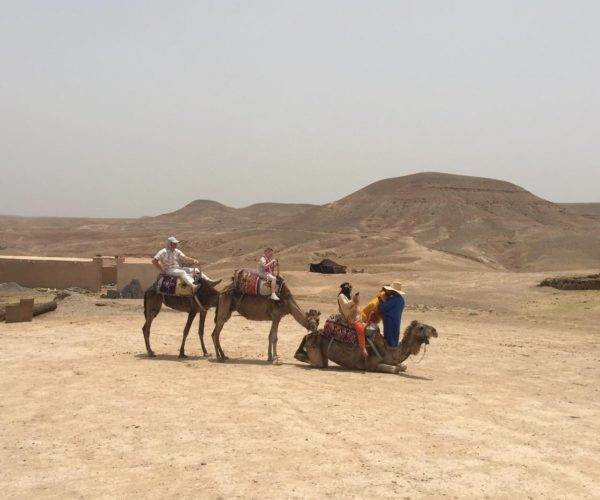 Our New Years eve desert tours are operated by Marrakech Kasbahs and Ksours Ait benhaddou world heritage site, plus the beautiful valleys such as Draa, Dades and Todra with its popular canyons. 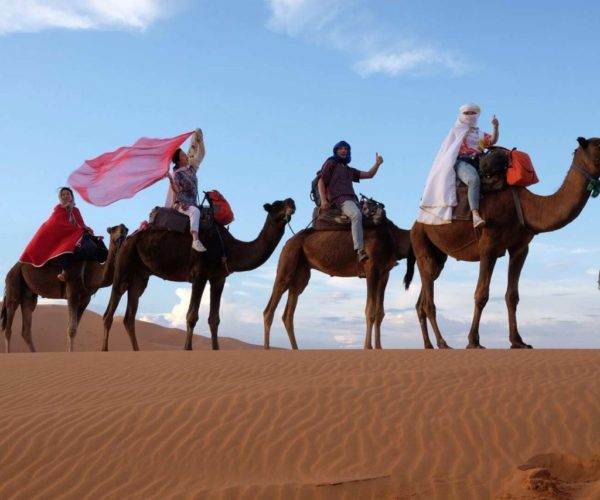 You will experience a camel trek in the dunes of Merzouga also called Erg Chebbi. 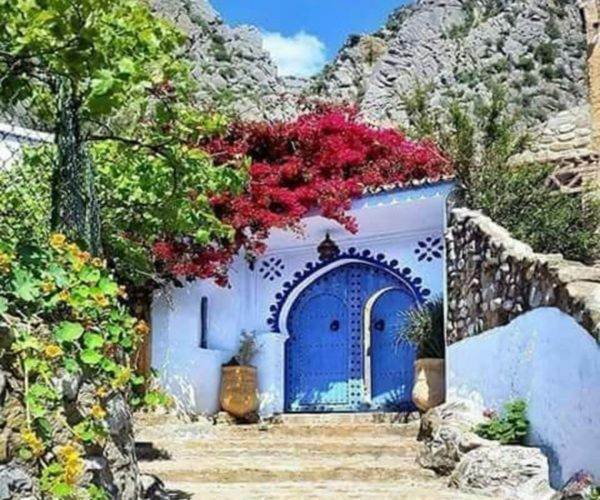 Pick up from your hotel or Riad in Marrakesh at 8a.m to Ait Benhadou via the High Atlas mountains Tizi n'Tichka, we will have time to stop and enjoy impressive landscapes and Berber hamlets, and break for coffee and mint tea. 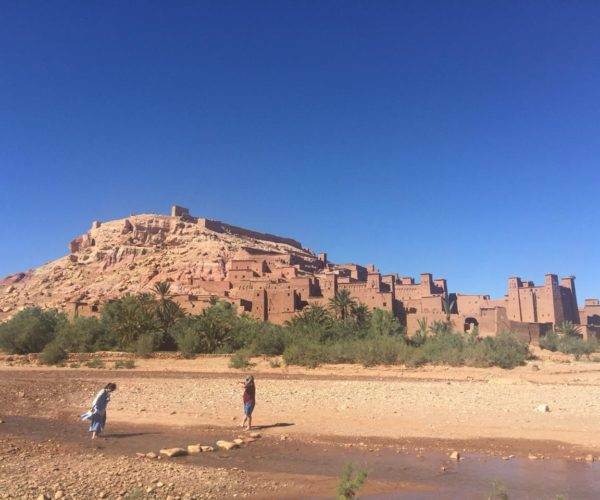 In the afternoon we will get the chance the visit the universal Heritage Site of Ait Benhaddou Kasbah as it has been named by UNESCO in 1987. 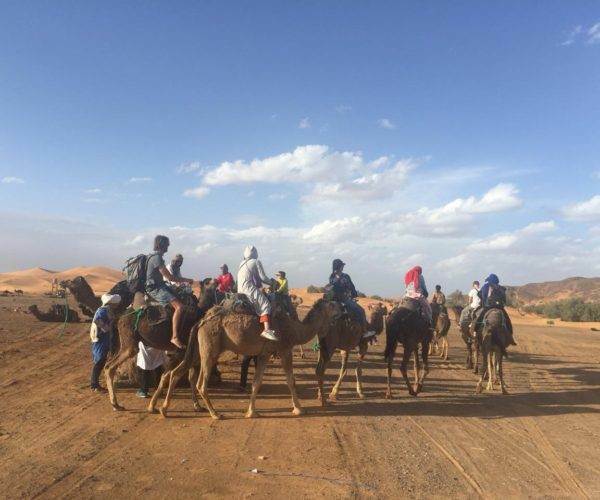 This Berber Kasbahs which has been used as a very important destination for international filmmakers for more than 20 films was also one of the most important fortress strongholds on the old Salt Road where caravans brought slaves, gold, ivory, salt and silk from sub-Saharan countries to Marrakech and beyond. 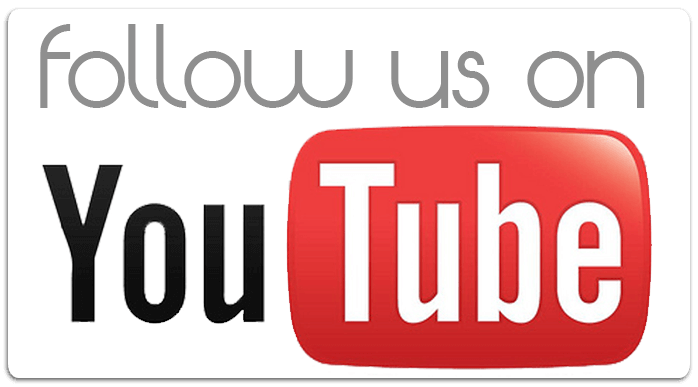 Our next stop is Ouarzazate, or what we call Hollywood of africa since it's has been as well a very famous destination for filmmakers. Here you will get the chance to visit many filmmaking studios. 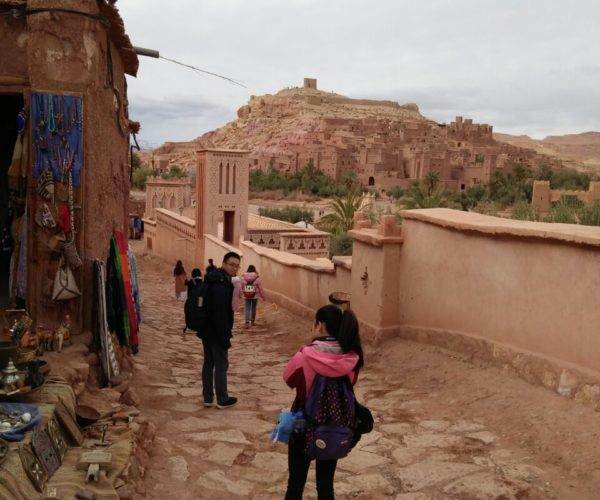 Dinner and overnight in Ouarzazate. After breakfast, we'll pass through Afterwards, we cross the Anti Atlas Mountains to Agdez village where the Draa valley starts. 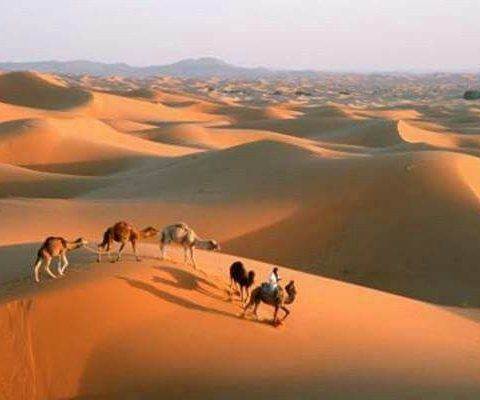 We head east to Nkob, a popular village for it's 45 Kasbahs as a background of a palmary, through the arid Saharan landscapes till the largest oasis of Tafilalet appears. 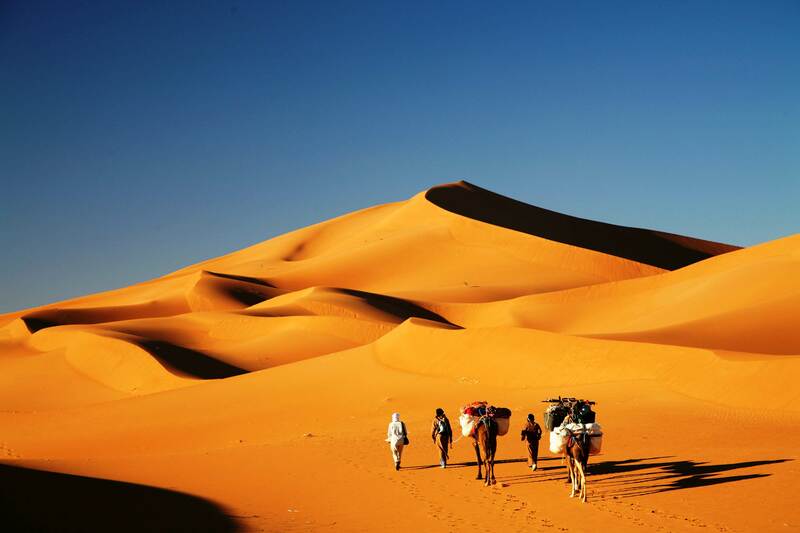 We continue deeper into the desert sand dunes of Erg Chebbi. 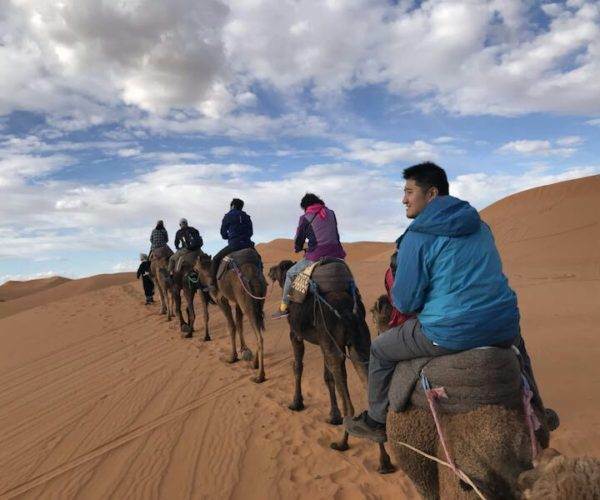 You stop in a hotel at the dune line for bathrooms stop before the camel ride take place around sunset time for the overnight in the Auberge Du Sud Camp, dinner & & night. 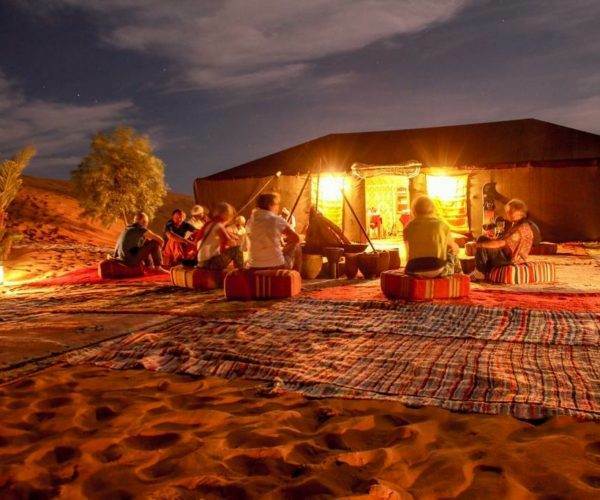 Today, you can enjoy your day in the desert area, there is a 3 hours drive beyond the sand dunes where the namsd live in tents and look after their herds, as well as a stop at Khamlia village where you can assit to a demonstration of the local musicians of the african tribes who settled there for for centuries. 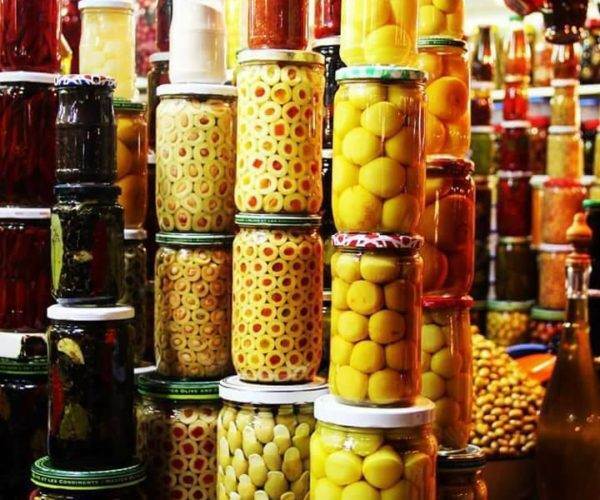 The other option is to attend the local market of Rissani where you can purchase spices, have a local Pizza for lunch and take a look into the Mausolleum of Moulay Ali Chrif. 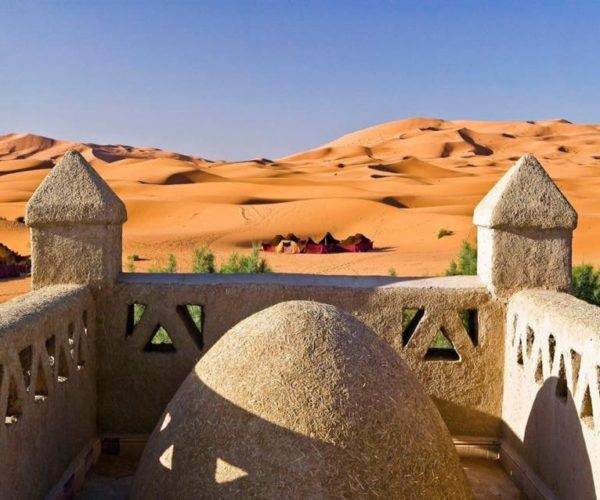 For those who love fun, an ATV ride in the sand dunes is available and can arranged at the hotel in the dune, for thsi you can contact the reception. 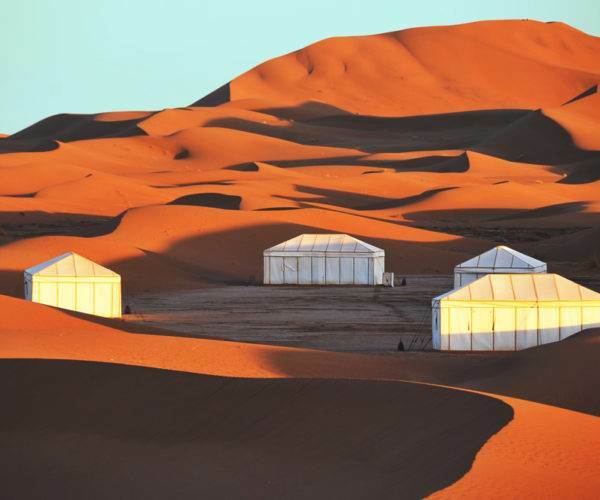 After you can relax at the hotel and getting ready to celebrate the new years eve in the Morocco sahara desert. 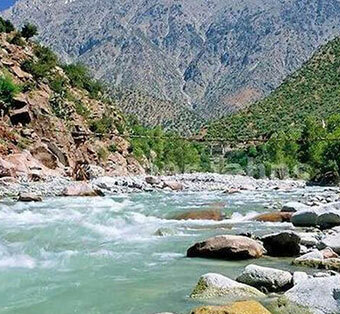 After breakfast, the travel day via the High Atlas Mountains and Tizi n'Tichka pass. Break for lunch on the way. 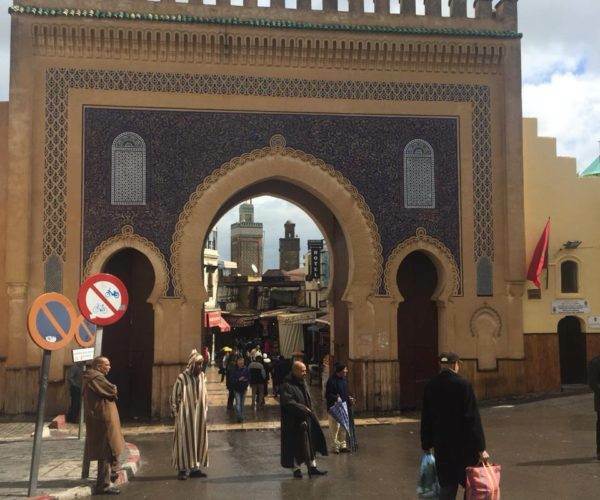 Drop off at your Marrakech hotel. 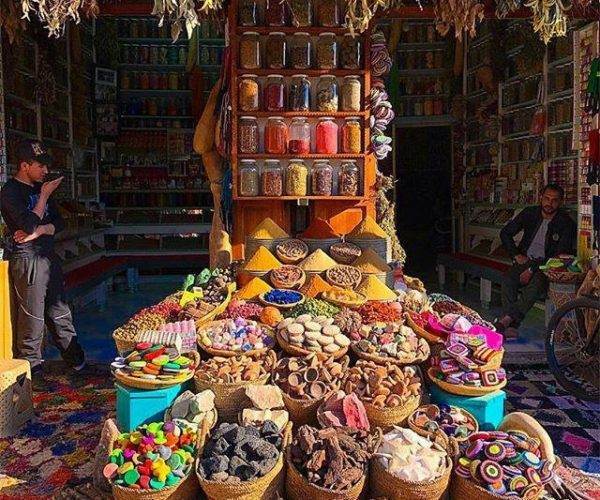 You will make stops in Ouarzazate why not cinema studios or museum or allow some time for shopping in the city before taking the windy road to Marrakech. 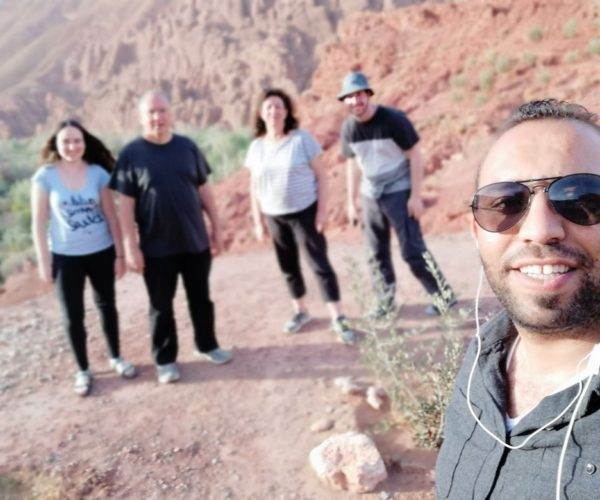 The end of 4D/3N Marrakech new years eve desert tour.